This music is painting pictures: Dusk has settled over the city, the Renaissance Center contours prominently rising to the skies. Elsewhere, a lonesome sad figure is dragging a grocery cart on cracked concrete that once was called a street but now screaming of decay. The city in the twilight. But then, you catch a suggestive and encouraging phrase ‘Detroit, Detroit’, put on spiraling rhythms. It’s difficult to find a match to the B1 track “Detroit: One Circle”, something that would capture as precisely the soul and passion of Motor City techno. This track is shining like chromed bumper of a 1977 Chevrolet but also reflects indefinite sadness you encounter in the eyes of a veteran who lost his leg in Vietnam. The medium-paced track starts with underwater signals and flows in a convincingly minimal way to the last grooves. “Explain The Style” is like a twin sharing the same hypnotizing, machine driven rhythm. “Spectral Nomad” that opens the record is entrancing techno jazz and “Modern And Ancient” a more experimental outro, all in uncompromising quality. 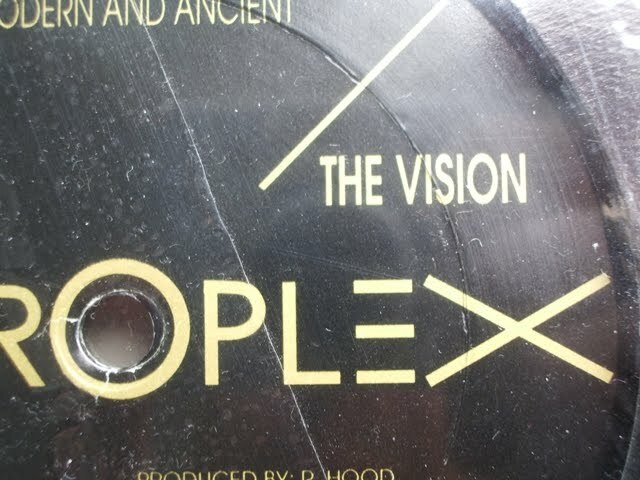 The Vision is Robert Hood and “Detroit: One Circle” has common features with his “Rhythm Of Vision”, also from mid-90’s, the latter having just higher BPM rate. 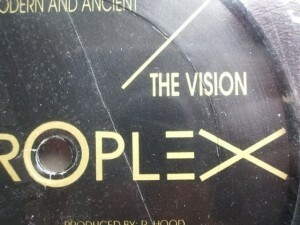 This one here fits perfectly to the futurist label of Juan Atkins. Just indulge yourself with a classic.